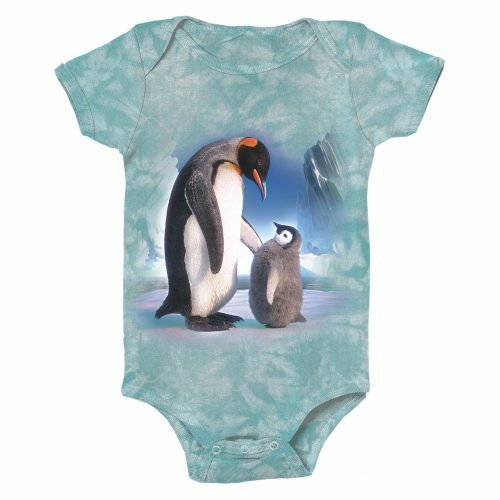 Dolphin Bubble Baby Onesie is 100% ringspun cotton jersey material which makes them soft against your baby’s skin. 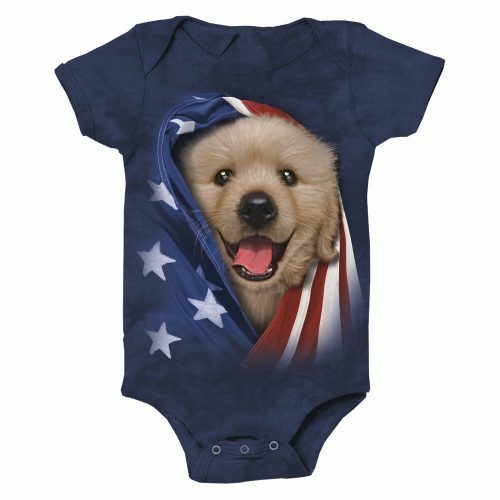 These infant bodysuits feature double-needle ribbed binding on the neck, shoulders, sleeves, and leg openings, and a reinforced triple snap closure. The envelope folds on the shoulders allow for easy-on and easy-off, either over the head or up/down the body. These short sleeve rompers are great for layering or alone. Durable for all the demanding infant needs and are designed to make life easier for parents who have to frequently change baby’s outfit! 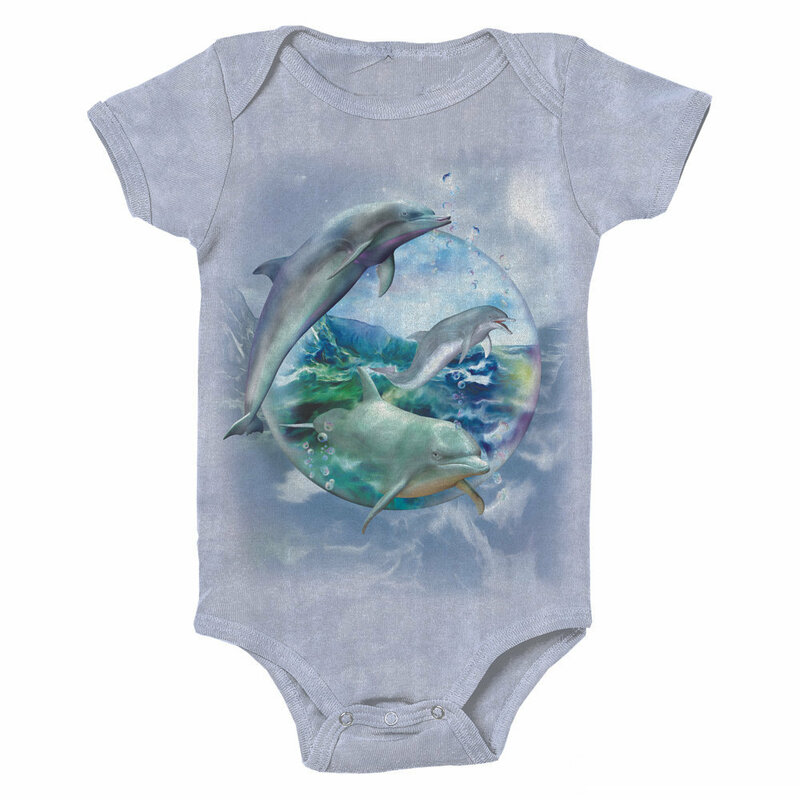 We offer this Dolphin Bubble Baby Onesie in sizes 6 months, 12 months and 18 months. 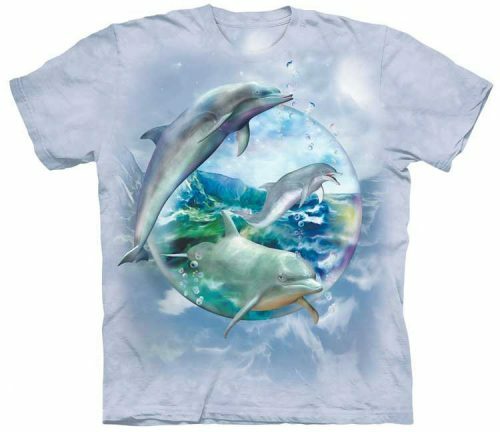 When you first receive your Dolphin Bubble Baby Onesie we recommend washing in cold water alone or with like colors. 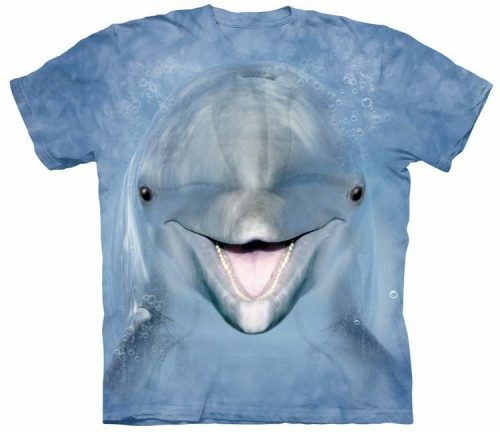 Since your shirt was hand-dyed it will continue to bleed some excess color for the first few washes. It is safe to use normal detergent, just make sure to avoid bleach.